Volunteering your time is a great way to give back. With many choices available, including committee involvement, planning events, mentoring students, and helping with admissions, there’s something to satisfy all interests. A gift of any amount to one of the hundreds of available funds at the University and its Medical Center provides critical support that can be used immediately to help students, the faculty, researchers, patients, and thousands of others who benefit from the University’s service. Explore ways of giving. 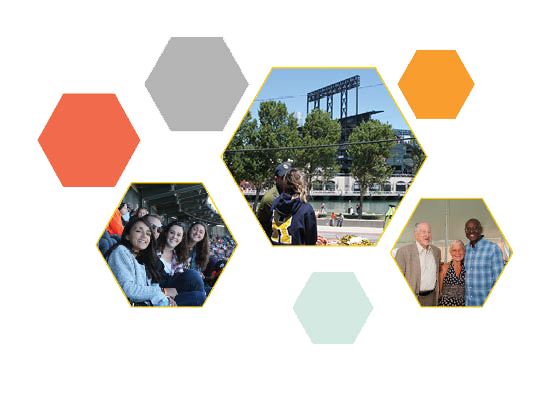 The University of Rochester's network of alumni, family, and friends hosts events across the country and the world. No matter where you live or travel, we hope you can join us. The University has numerous social media accounts that you can follow and connect with. Stay up to date on all of the latest news, featured alumni stories, and exciting events.